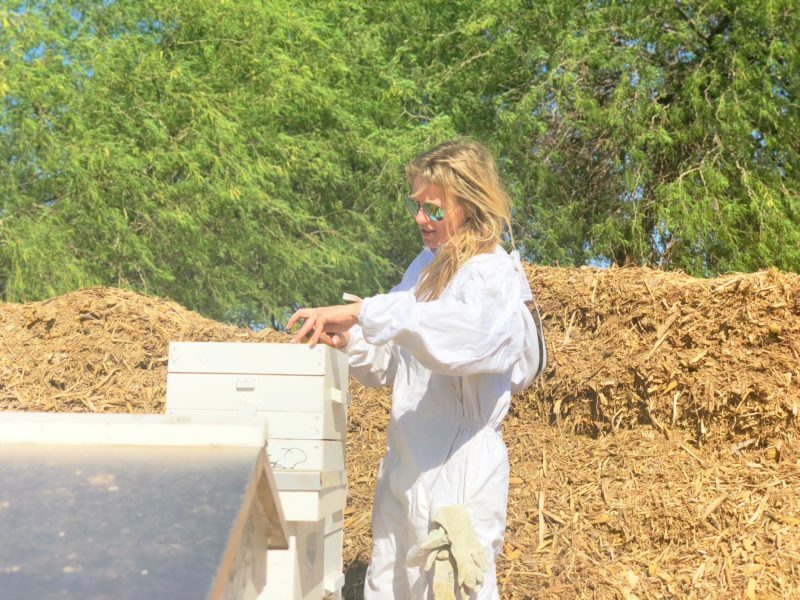 One of the considerations before deciding to keep backyard bees in Arizona is the commitment to inspect your hives weekly. Other parts of the country can get away with doing monthly checks, but because of the constant threat of Africanization, we need to visit our hives more often. Depending on the number of hives you manage, this can take up a lot of time. I would expect to spend 30 minutes to 1 hour a week per hive. The good thing about this is that you get to know your bees really intimately and they get to know you. And I truly believe that bees do become more accepting of their managers the more often they visit. New beekeepers often spend hours sitting next to their hives, just watching the magic of what goes on at the entrance. It’s so fun watching those little bumble bodies come in for their ungraceful landings. I love taking slow-mo videos just to see how funny they really are. Their little pollen baskets full of multi-colored pollen make some of the landings quite comedic. There is also a lot you can learn simply by this type of observation through out the day. You will get to know the routines and habits of your bees. You’ll know when they take their orienting flights and when the drones come home. You’ll see the things they bring out of the hive as the housecleaning bees do their jobs of maintaining the hygiene of the hive. Different seasons will elicit different behaviors that you will get to evaluate to understand the health of your hive. But the weekly inspection of the inside of your hive is very important. Consider that a queen takes only 14-16 days from egg to adult. That is only about two weeks. If your queen is superseded or the hive is preparing to swarm, you could miss the opportunity to prevent that if you check only once a month. 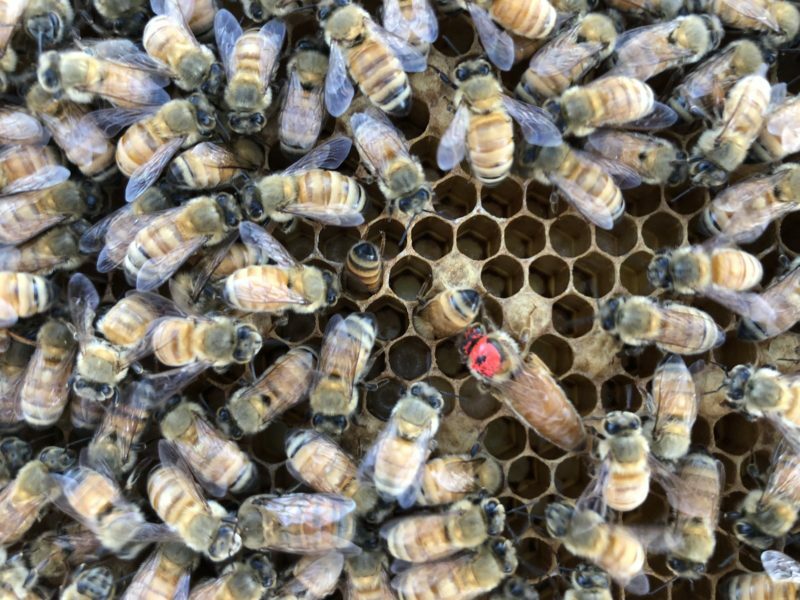 Once you start buying your queens for $40 a piece or you have to deal with Africanized bees, you will quickly learn to appreciate these inspections. Smoke the entrance and under the cover of your hive with 2-3 puffs of smoke. Remove the cover and look to make sure the queen is not there, set it on the ground or lean it up against your hive. OBSERVE how the bees are acting. Are they calmly walking around or are they looking a little crazy? Smoke the top of the frames to cause the bees to move down and then scrape off any comb that has accumulated. Queen cells: note if they are supercedure (center of frame) or swarm (bottom). Place that frame and the next on a frame rest or leaned upright next to the hive on the ground or stand. Continue gently and slowly prying apart the frames and inspecting as above. Keep the frames together so that you can push them all back in place as a whole so as not to crush the queen or other bees. Replace the first two frames and adjust the spacing so that the two end frames are equidistant from the walls. Remove that box by prying it firmly with your hive tool. Set it on the ground sideways with the frames perpendicular to the ground, or upright on the lid. Continue with the remaining box (es). Make notes of your observations list in 5 as well as anything you want to look at or do the next time you inspect. If you don’t have time to do a thorough inspection each week, you may want to just look for evidence of your queen, and queen cells. Be sure to remove those cells and determine the cause of them. Is your hive becoming too full? Is the queen not laying well? Did your queen die? One of the best things you can do, and one of the hardest, is to keep a record of your inspections. This will allow you to easily see how your hive’s health and vitality changes through the seasons. It also ensures that you will remember what your hive needs from you each time you visit. 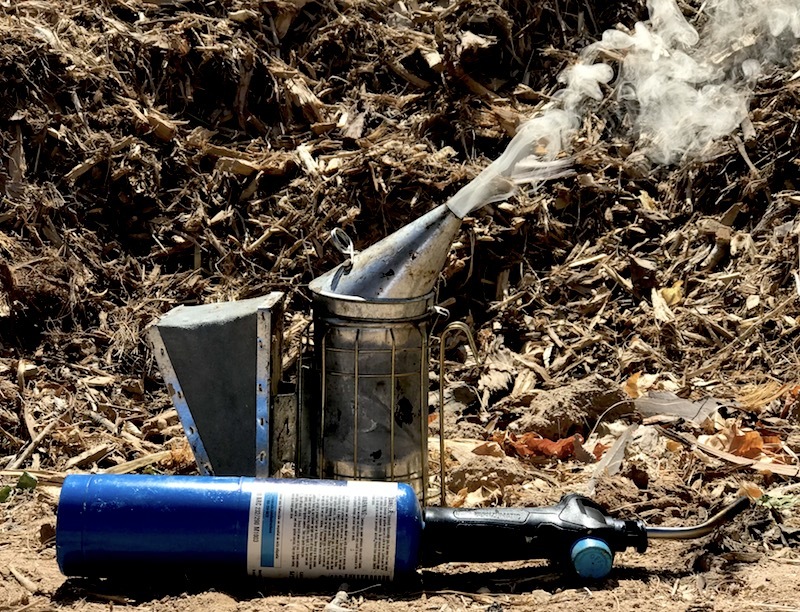 Each beekeeper will have to determine their own best method for keeping notes, and that really boils down to whatever method is the easiest. Some use specialized apps like HiveTracks, or even simple note taking apps like Evernote. Some of these allow you to keep photos or voice recordings of your inspections. Others like to keep an actual notebook inside or attached to their hive inside a ziplock bag. And still others simply write on the hive itself. 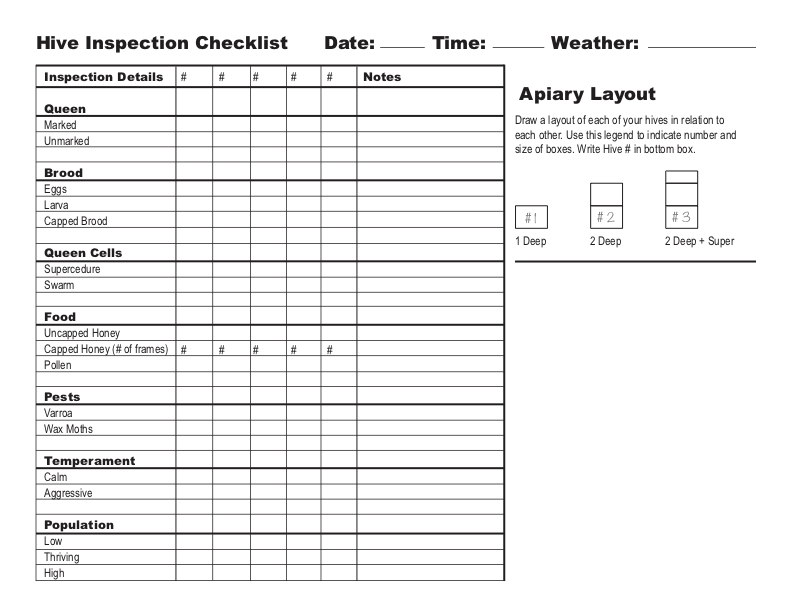 If you would like to keep a printable template of an inspection sheet to keep with your hive, here is one I made. You can download it HERE. If you are nervous about inspecting your hive or just want someone else’s eyes there, don’t hesitate to ask another beekeeper. 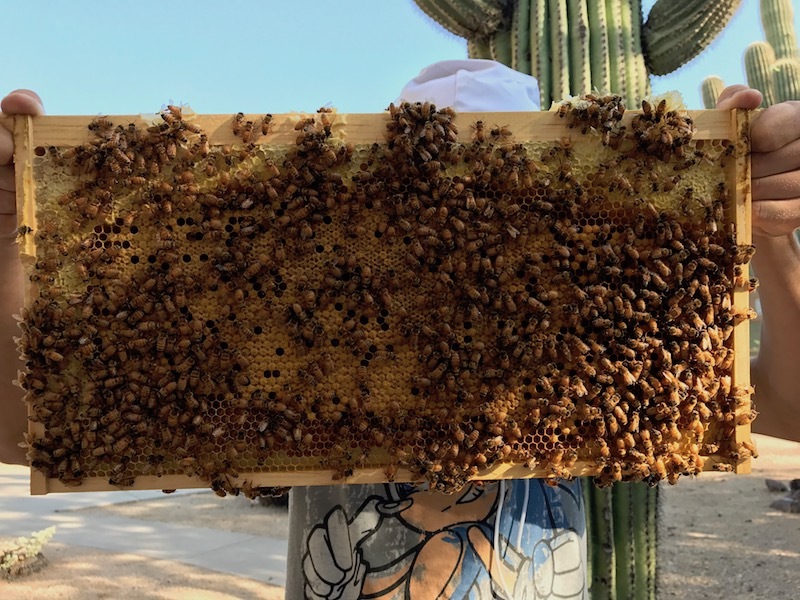 If you are part of the Arizona Backyard Beekeepers Facebook group, feel free to ask for help there. 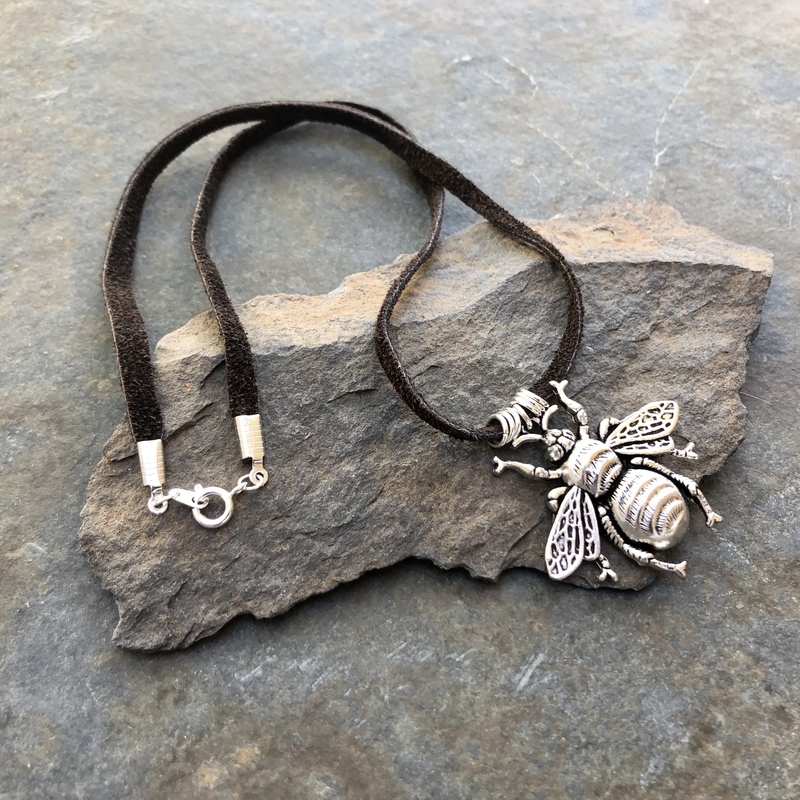 Beekeepers are great people who love helping others who share their passion for bees. Thank you for this!!! I did a hive inspection yesterday. Closed it all up… (I was trying to beat a monsoon looming a few miles away!) And realized I missed a few things! Will definitely be using this checklist! Virginia, I’m so glad it is useful to you. Thanks for letting me know. Good job on inspecting your hive.